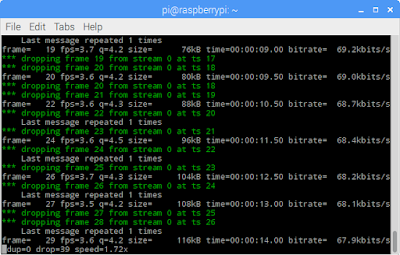 Rasbperry pi - FFmpeg install and stream to web - Make it easy! This "make" command will take 4 hours long -> take a sleep instead wait for it! As test, video can see clock needle rotate every single second! Go to /etc/rc.local -> then add command line /usr/sbin/webcam.sh before "exit 0"
This project will make remote car control which can view camera attached on car. Hi, i have just updated video recording clock and local web. I admit that there is still some lagging, anyway, this is the best i have now. Thanks. Maybe helps to someone: if is used a Raspberry Camera attached to the GPU, before the ffmpeg commnand you need to enable the camera in raspi-config and then load the driver with modprobe bcm2835-v4l2 , so /dev/video0 will appear. Someone can help me ? and one more question. This file ffserver.conf we could make or this file should be already created ? 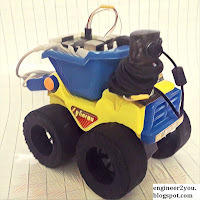 Make sure USB camera is plug to Raspberry (check if /dev/video0 is exist or not). Try it again with every single steps as in instruction. what version of raspian wheeze or jessie ? I have just made it in RASPBIAN JESSIE latest version. Everything still works fine. Is it possible to record a vídeo and save it into a usb memory styck ? No, i didn't make this function. how to Stream 2 webcams? should U be concerned about about deprecated warning during the make portion of install the ffmpeg? Is this a tailored ffmpeg just for web video streaming for a fully functioning install of ffmpeg? I have several Raspberry Pi Zero W's with camera modules running as time lapse cameras collecting images around my home. Currently I run ffmpeg on my Mac Mini to convert the jpeg images to a video clip for the day. This works fine. But I would like to automate the process and use a Raspberry Pi 3 to run ffmpeg via crontab to create the videos rather than manually running ffmpeg on my Mac. Will your build of ffmpeg allow me to do this? is it possible to stream the video at an IP address without the '/test.mjpg'? Just the IP addr and Port number. With this I have no problem to stream it, but i need to further use it in a python code and I am using server socket to read it and it is only allowing me to enter an IP addr and port number. I cant find a way to add '/test.mjpg' to the addr it listens to. Any suggestions? I got -> "Unable to find a suitable output format for 'http://localhost:8090/feed1.ffm' http://localhost:8090/feed1.ffm: Invalid argument"
/etc/ffserver.conf:1: Port option is deprecated. Use HTTPPort instead. /etc/ffserver.conf:3: BindAddress option is deprecated. Use HTTPBindAddress instead. /etc/ffserver.conf:9: NoDaemon option has no effect. You should remove it. /etc/ffserver.conf:27: Setting default value for video bit rate tolerance = 20000. Use NoDefaults to disable it. /etc/ffserver.conf:27: Setting default value for video rate control equation = tex^qComp. Use NoDefaults to disable it. /etc/ffserver.conf:27: Setting default value for video max rate = 30906320. Use NoDefaults to disable it. /etc/ffserver.conf:27: Setting default value for video buffer size = 160000. Use NoDefaults to disable it. Hi, please try to update/ uprade Raspberry and then do all above steps again. I have also this problem. Have you already solved it? Thanks for the great tutorial! I have a Raspberry pi model 3, and cannot seem to get this to work. When I go to install ffmpeg, it installs without a problem, but when I try to execute the webcam.sh file, it says that the ffserver is not a recognized command. I have tried to configure ffmpeg with "--arch=armhf", but that did not seem to work. Do you have any suggestions? Can i see the error code? Maybe you need to open port forwarding 8090? Thanks for the fast reply. After working with the system for a few hours, I decided to use your tutorial for the moving camera and use motion to broadcast the camera signal. I used this with your same car webpage, and it works great. One note on the camera.php file - every user needs to change the file to their specific IP address, or it will listen for the camera output on the right port, but the wrong IP address, or at least this was the case for me. Thank you for the tutorials, as they were very helpful and informative! Hello, thank you very much for your tutorial! It worked perfectly, but I have one question. Do you know or have an idea on how to implement the stream on a website? I am running an Apache Server on the raspberry and i would like to implement the stream onto it. Hi, i didn't stream to (internet) website by ffmpeg. I just did it by another application, and use "Port Forwarding" to put it into internet. how can I get passed this? Copyright Jun 2018, Make it easy!. All rights Reserved.